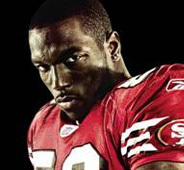 San Fransico 49ers linebacker and Ole Miss alum Patrick Willis is heralded as one of, if not THE, best linebackers in the NFL. As a proffessional athlete, Willis could obviously aquire virtually any vehicle he desired so the fact that he copped an IROC of all things is intriguing. Although I don’t know WHY he would want a third generation Camaro over the first or second, it’s kinda cool that he likes to be different and set his own trends. This particular IROC looks pretty mean with the bright red muscle car hue and blacked-out (Vossen?) wheels, windows and tails. 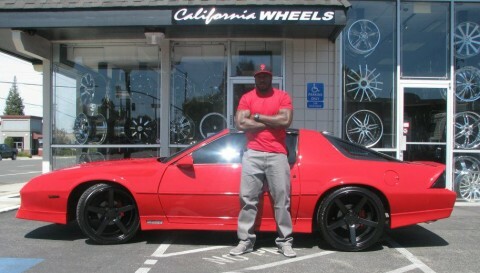 I lost track of how many of Patrick Willis’s cars we have posted on this website. This man loves his cars. Here he is with another beauty from California Wheels. 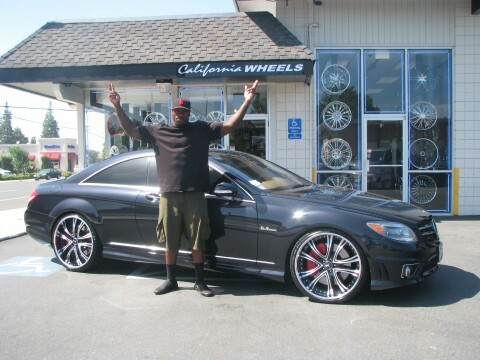 This time, he has a Mercedes CL63 with custom colormatched 22″ Asanti wheels with a custom Mercedes Benz center cap. Just like the rest of his cars, he had the engine tuned, the car lowered, and the windows tinted. Really aggressive wheel design with a great fitment. I think the CL needs a multispoke wheel design but this works with the simple brushed and black finish. 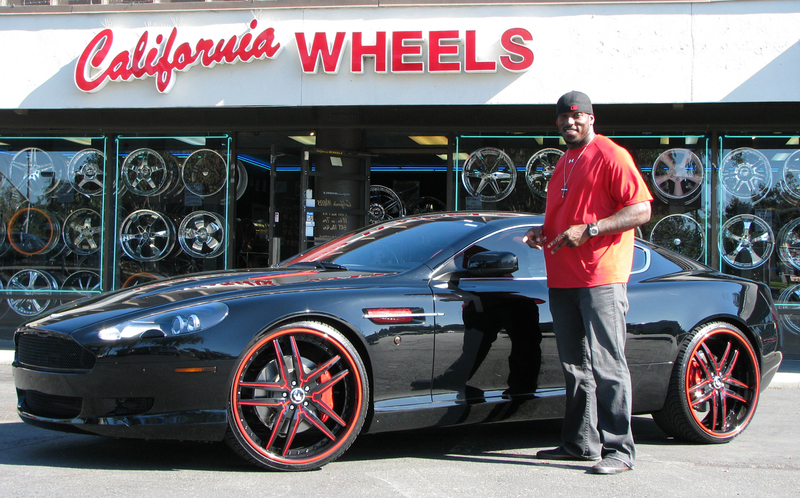 This Aston Martin DB9 belongs to the best linebacker in the NFL, Patrick Willis of the San Francisco 49ers. 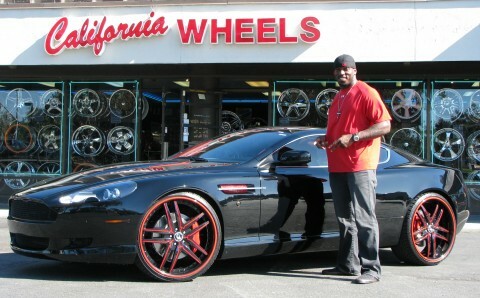 He got his DB9 customized at California Wheels in San Jose. His Aston Martin is staggered on 22″ Forgiato Vizzo wheels painted all black with red lines on the center and red pinstripe. 22×9 in the front with a 3″ lip and 22×11 in the rear with a 4″ lip. It definitely has too much red on the wheel. Just a red pinstripe would have had a cool effect with the red brembo brakes. Besides the red, it is a great wheel design for this car and it has a nice deep lip in the rear.